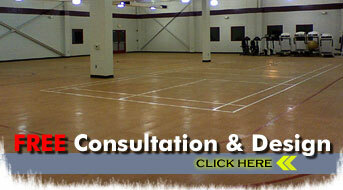 Southwest Greens rubber gym flooring is ideal for multi-game courts and commercial and residential uses. Whether you need home gym flooring or a gymnasium floor for a city park or school, we provide construction and installation services that are second to none in our industry. You can trust that a gym floor from Southwest Greens is perfect for all gym activities, and that it yours will be built to last. We proudly serve the city of Atlanta and surrounding cities including Newnan, Conyers, Douglasville, Decatur and more. We’re certain our customers won't find a more versatile or durable surface anywhere, so call today. No other gym flooring performs as well as what you'll find here at Southwest Greens. Schedule your construction and begin enjoying a multitude of activities today. Our products are the perfect choice for rubber flooring for school gyms, multiple game courts, and more. It's no wonder we have so many satisfied customers! 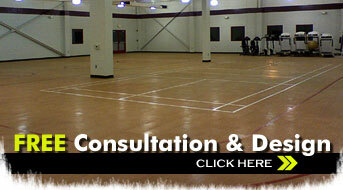 Call today and learn firsthand how easy it can be to be the proud owner of a gym floor from Southwest Greens. No other sports surface can match the versatility of the products we offer.